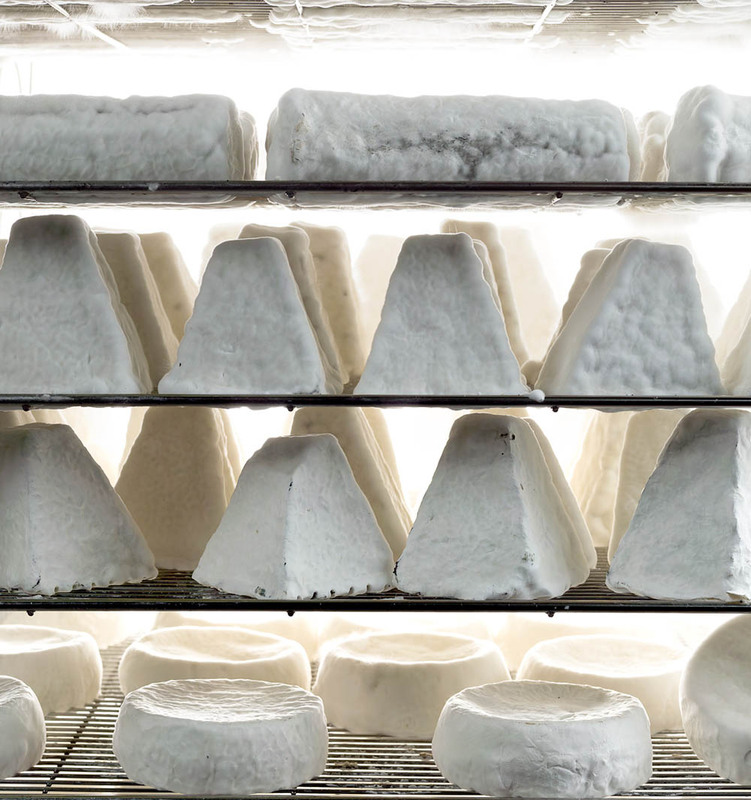 Israel’s growing band of boutique cheese makers admit they aren’t in it for the money. In the run up to Shavuot, we take a look at how this new industry is blossoming across the country. From the front porch of a small tzimmer (bed-and-breakfast) on Naot Goat Farm, the unique desert view nearly smacks you in the face. The cozy vacation cabin sits in a spot that until 2003 was an undeveloped mountainous desert landscape. Gadi and Leah Nechimov and their six children turned this uncharted territory into a five-cabin tzimmer, farm and cheese shop. Naot is just one of 24 similar farms that make up Israel’s modern desert cheese, agriculture and wine hospitality route in the Negev highlands of the South, along the ancient Nabatean spice route. ISRAEL21c paid a visit ahead of the Jewish holiday of Shavuot, when dairy dishes traditionally take center stage at festive meals. Some of the Negev farmers and winemakers still use the infrastructure and ancient techniques designed to make the most out of the region, including terraced orchards that capture flash-flood waters from rare winter rains. But the Nechimovs started from scratch. “After taking theoretical courses at the Ministry of Agriculture, we were well received at Har Haruach Dairy Farm outside Jerusalem, where we got to experience practical work for several months. 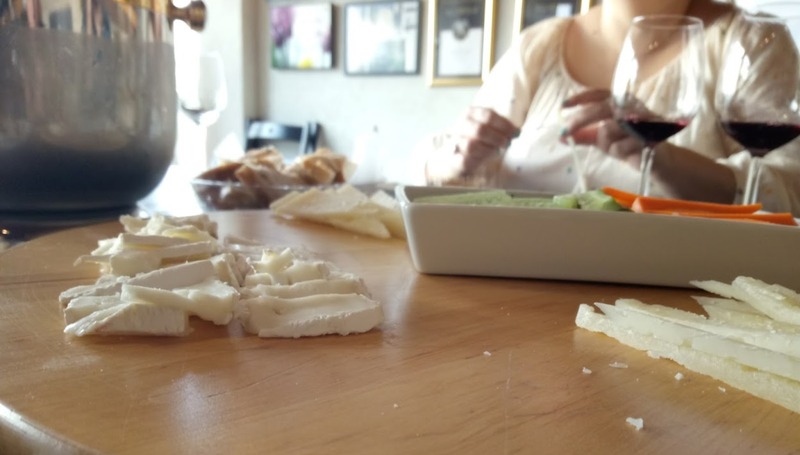 Two educational trips to Spanish dairy farms resulted in more ideas, and a study tour in France improved our understanding of the flavors and fragrances in cheeses,” says Leah Nechimov. The farm’s goat milk is used to produce rich yogurt and labane, Balkan-style fresh cheeses such as feta and halumi, aged French-style cheeses such as tomme, and “Nitzan” – a hard cheese aged five months and flavored with wine, thyme, nigella seed or black pepper. A mile up the road is Kornmehl Farm. Anat and Daniel Kornmehl, graduates of the agriculture program at Hebrew University, built the farm in October 1997. Daniel, who studied cheese-making in France and Israel, focuses on recreating and reinterpreting classic French varieties. Like Naot Goat Farm, they depend on tourism to make ends meet. The restaurant at Kornmehl Farm is a celebration of the desert goat-farm lifestyle, offering up dishes such as “Little Red Riding Hood”– slices of roasted red pepper wrapped in cheese spiced with mint and garlic; and “Edna fingers” featuring hard goat cheese wrapped in crispy dough, coated with wine syrup and apples. The remains of ancient farm terraces from the Middle Bronze period (3000-4000 BCE) remind visitors of the extraordinary history in the area. The family farms of the Negev highlands often look to one another for moral support to succeed. “There is a lot of cooperation and mutual help among farmers, especially in the field of tourism, since the agricultural side is different from farm to farm,” Nechimov tells ISRAEL21c. Up north, Galilean boutique cheese producers are similarly linked and there are many more of them. 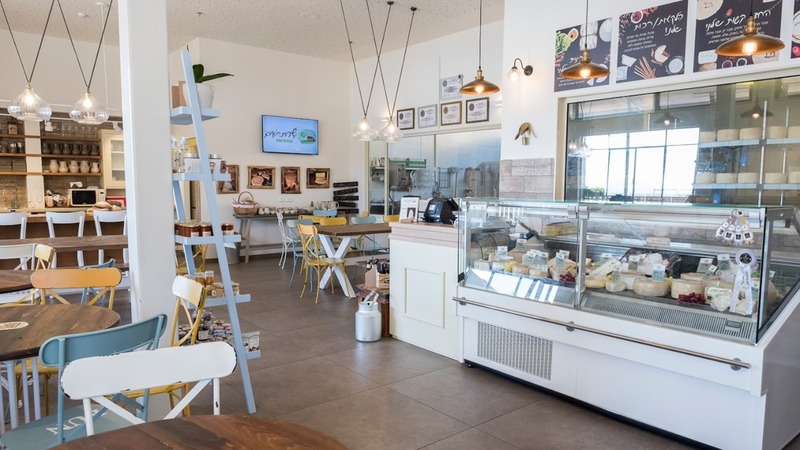 Shirat Roim boutique dairy owner and artisanal cheese producer Michal Mor Melamed recently relocated the visitors’ center from pastoral Kfar Kish in the Jezreel Valley to Kibbutz Lotem in the Western Galilee, also home to the organic Lotem boutique winery. “The winery was one of the main reasons that we moved to Kibbutz Lotem, and we have worked in mutual cooperation and productivity from the first minute until today,” she tells ISRAEL21c. Melamed, an audiologist and speech therapist, was first exposed to cheese-making in 2005 on vacation in the Swiss Alps. She went on to study artisanal cheese-making in Israel, Switzerland, France and Italy, ultimately opening up her own dairy in 2008. So far, four Shirat Roim (Shepherds’ Song) cheeses have been recognized in world cheese competitions in France, Switzerland and at home in Israel. Among her award-winning cheeses are those made from sheep’s milk: Ma’ayan Harod (a tomme-style hard cheese), Ein Muda (a hard Pecorino-style cheese), Inbar (a spicy, semi-hard cheese inspired by Mutschli Swiss cheese, spiced with Swiss herbs, wine or seeds like caraway or cumin) and Kmehim (a semi-hard cheese infused with slices of black truffles soaked in truffle oil, matured over five to eight weeks). At the dairy’s new visitors’ center, guests can witness the cheese-making and ripening process, taste and buy the farm’s 19-plus varieties of Swiss, French and Italian-inspired cheeses, watch a video about the farm, and even take cheese-making workshops. Together with Lotem Winery, they sell other gourmet goods, like locally made olive oil and jam. In the Netofa Valley in the same Lower Galilee region, WWoof movement volunteers from around the globe are heading to a cheese- and wine-producing farm on a piece of green land dotted with olive trees and romantically named Goats with the Wind. 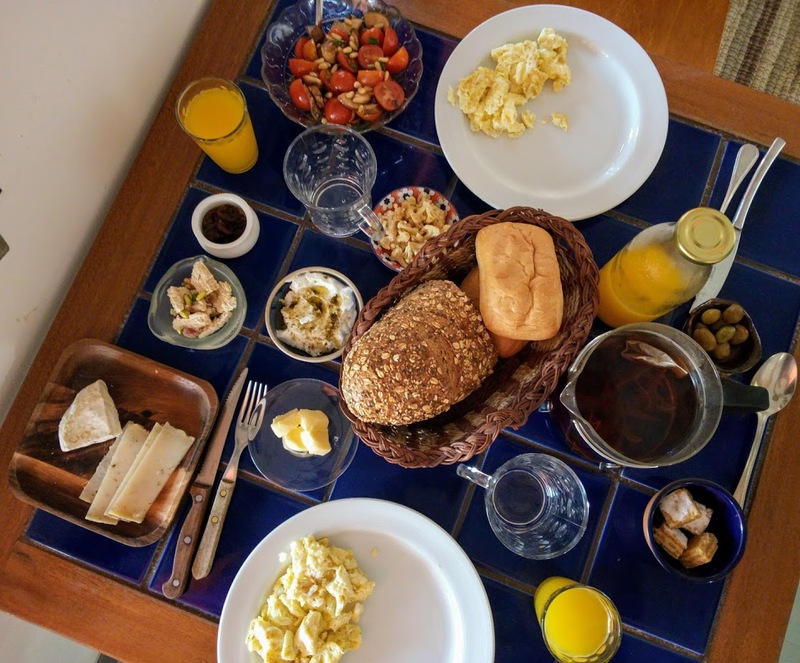 “We really need the tourist traffic here – the combination of buying cheese at the dairy shop in Yodfat and visits for meals on the farm is the right combination for us. And it helps us continue to manage the farm and the herd of [about 200] goats,” owner Dahlia Spigel tells ISRAEL21c. In the cheese shop, visitors observe Dahlia’s husband, Amnon, through a glass window as he makes his 14 types of goat cheeses based on French and Italian methods but focusing on varieties from Greek islands like Corsica and Sardinia. Boutique goat cheeses were introduced to Israel by Shai Seltzer, who represents the modern era in Israeli artisan cheese-making dating to the early 1980s. Seltzer started aging his European-style cheeses in ancient natural caves on his Har Eitan farm in the Judean hills near Jerusalem. Today, chefs from around the world make his remote hideaway a must-visit when they come to Israel. Cow’s milk cheese production began with the first European pioneers in the late 1800s. They worked Israel’s rough landscape to establish agricultural communities (kibbutzim), eating what they could grow and produce themselves or buy cheaply from their neighbors. To accommodate their simple and communal lifestyle, it made sense to eat fresh cheeses that were low-maintenance and fast to produce, such as the variety Israelis call “white cheese” (gvina levana), a cross between spreadable cheese and yogurt that originated in Germany, as well as cottage cheese and sour cream. To this day, cottage cheese and white cheese are staples in the Israeli diet. 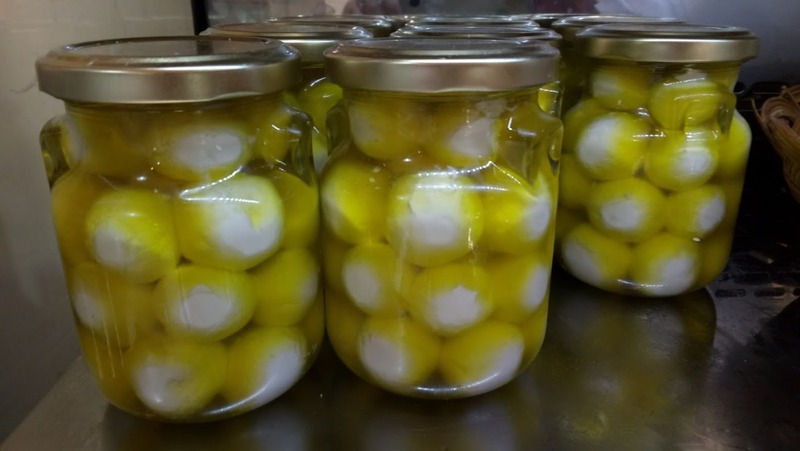 Boutique cheese-making in the Old City of Safed (Tzfat) dates back to 1840, the year HaMeiri Dairy was established in the home of Persian immigrant Meir Arzoni (later changed to HaMeiri). The dairy introduced indigenous cheeses such as brined, salty Tzfatit (named after the city) and feta-like Bulgarian cheese. The Hameiri family recently ushered in its sixth generation of cheese-makers when Arzoni’s great-great-great-grandson, Yaniv, left his job as an accountant in the center of the country to return home and run the business. Yet another beautiful cheese farm close by is Ein Camonim (literally, “there’s nothing like them”). The destination tasting shop and restaurant started by Drora and Amiram Ovrutski sits on land overlooking the pine tree-packed hills in a remote mountain pass of the northern Galilee. The Ovrutskis’ goats graze naturally on the wild hillside and are milked twice daily. In the cheese shop, foodies are encouraged to taste the different varieties of handmade cheeses alongside frozen goat yogurt, fig jam and boutique wine from Haifa’s Vortman Winery. As with other gourmet food and drink industries in Israel, there has been much interest in boutique cheeses as of late. An influx of French immigrants, as well as an increase in Israeli culinary travel to European countries, has created the demand. We met one such immigrant, who came to Israel from the French Alps 12 years ago and spends her free time manning the counter at HaTzarfatia B’Havat Kish (The French Woman in the Kish Village Farm), selling specialty cheeses from five area dairies. Ducks, turkeys and peacocks live in expansive cages across the walkway.